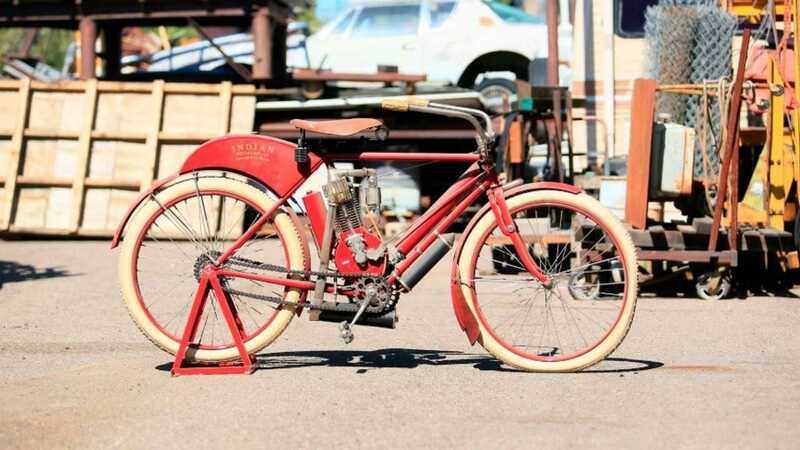 The big day came and went, and Rickey Jensen's bonkers Indian collection brought in more than $500,000 at Mecum's Las Vegas Motorcycle Auction. Not bad for a collection of bikes and tchotchkes that no one knew existed until a couple weeks ago, eh? 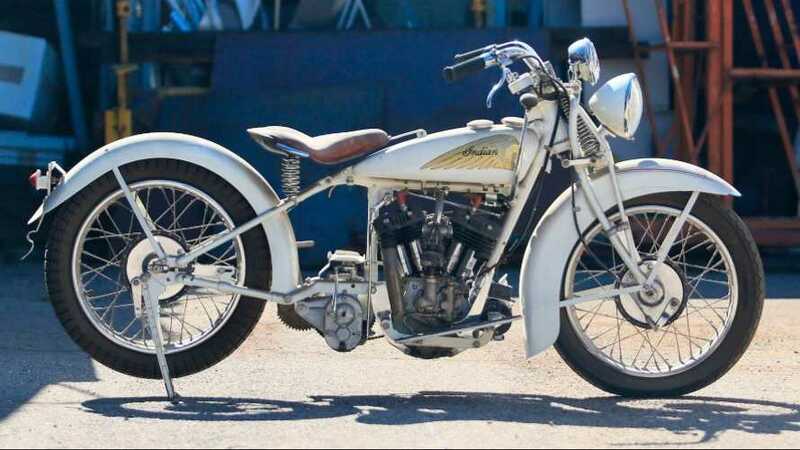 The big winner was the ratty 1929 Four with the bent front wheel that went for an eye-watering $88,000. 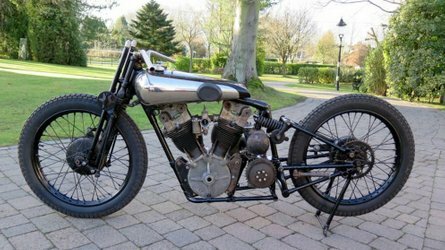 Right behind the '29 Four was the 1908 Camelback at $82,500. The other Fours brought in the big bucks, too. That gorgeous red and white '41 model went for $71,500 and the blue '37 went for $73,700. Who knew the Fours were so popular? The other bikes did well, too, bringing in between $20,000 and $50,000 each. Even the bicycles went for hundreds or thousands of dollars. My favorite thing in the auction, the '47 Papoose, went for a measly $1,100. I wish I'd known, 'cause that's something I actually could have afforded and now I'd have a papoose! If you'd like to see the rest of the auction results, and maybe see if you can pick up something that didn't sell, check out the auction site here.